Apparently, yesterday was the day to reveal nifty art from upcoming movies! 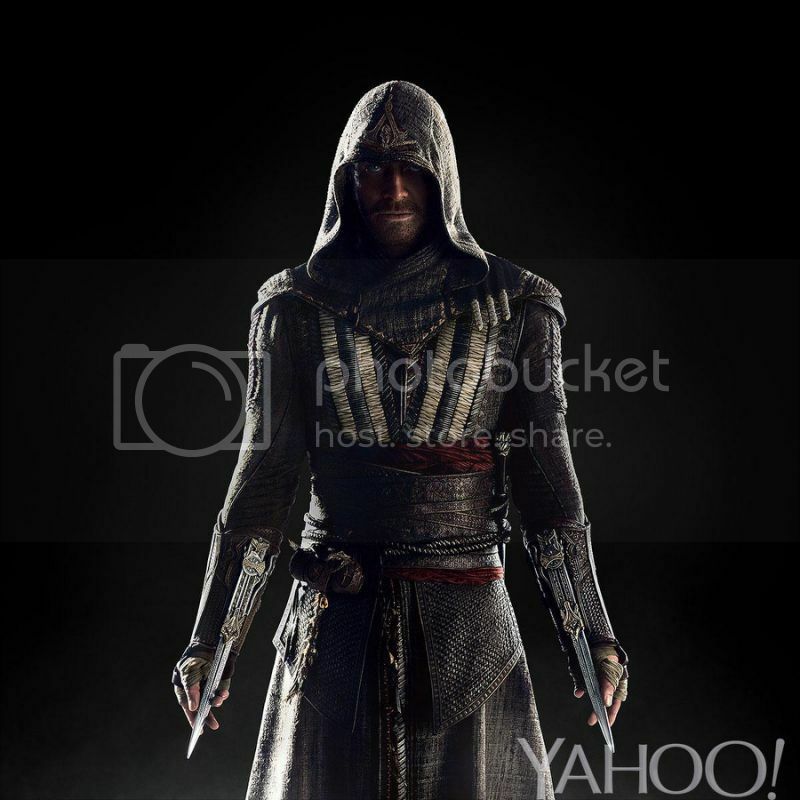 First up is the first official pic of Michael Fassbender in the upcoming Assassin’s Creed movie. He looks pretty neat. I don’t think he’s playing any of the characters from the video game. 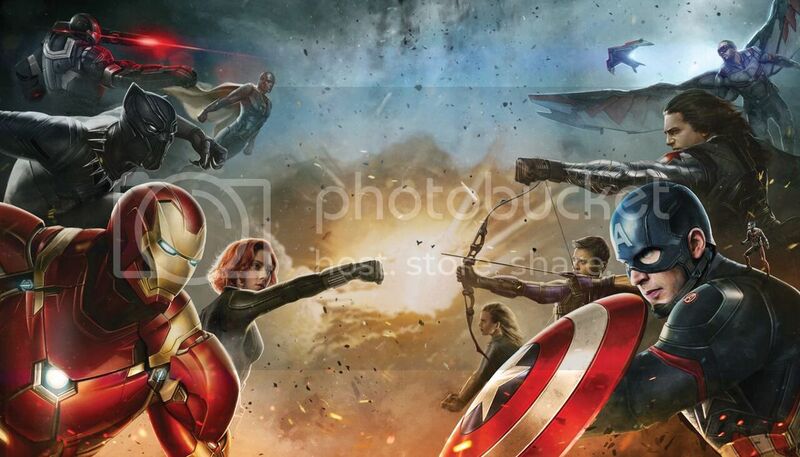 Next up is a pretty awesome picture from Captain America: Civil War, that reveals the two sides of the upcoming conflict! There were more pictures released online, some of which were endorsed by Jeremy Renner, but this one is the best! I love the little mini Ant-Man hanging out on Cap’s shoulder. 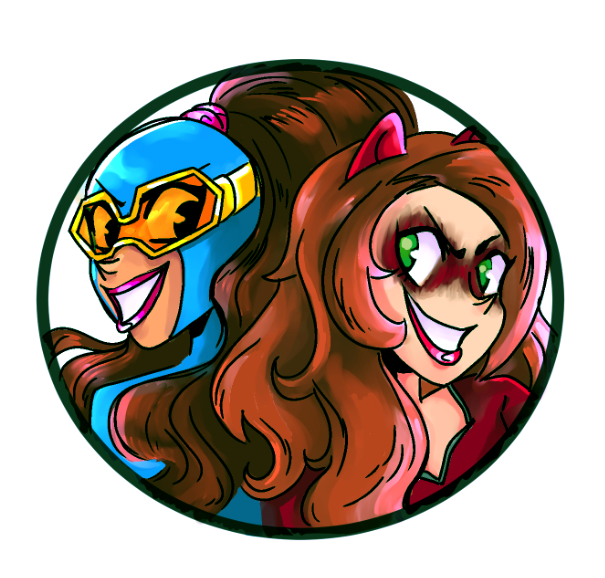 If you aren’t already, it’s time to get excited for Civil War next year! Posted on August 28, 2015, in Avengers, Marvel, Movies, Video Games and tagged Assassin's Creed, Captain America: Civil War. Bookmark the permalink. 2 Comments. I’m not sure who that blonde girl is on Cap’s side, but unless she’s, like, Captain Marvel, then Cap’s team is seriously outclassed. Especially since Spider-man is probably on Tony’s team as well. I believe that’s Sharon Carter, introduced in The Winter Soldier movie.